VisMederi Srl, the Tuscan Company operating in the field of Life Sciences and Public Health, has announced its new corporate structure today. The agreement on reorganization completed in recent days involved the sale to Prof. Emanuele Montomoli of the 66.66% shares previously held by the two founding members. Prof. Montomoli, former Company partner for 33.33%, has exercised his pre-emption rights thus becoming 100% owner of the Company’s shares. Within the corporate reorganization, the new CEO of VisMederi has also been appointed in the person of Duccio Meiattini, coming from the consulting world for company organization and control. Professor Montomoli, who will be Non-Executive Director for VisMederi and will maintain his role of Scientific Manager in the Company, made the choice not to follow the other members in the sale of the Company but to take over the total property. This decision has arisen from Prof. Montomoli’s desire to continue investing in a dynamic and innovative entrepreneurial reality, enhancing the professionalism and expertise of its 29 employees. The staff is young, made of graduates trained mainly at the University of Siena, with excellent curricula and research doctorates in Italy and abroad. 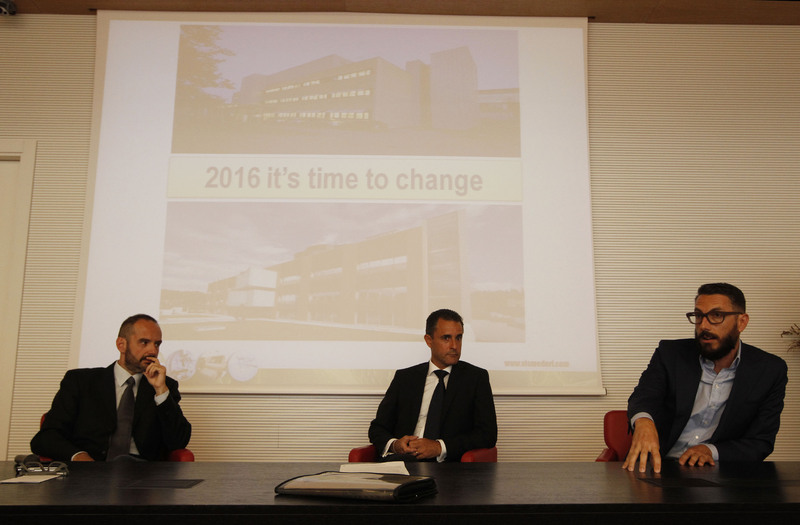 The year 2016 thus confirms itself as a year of change to VisMederi, marked also by the recent move into the new facilities of the Medicine Research Centre of Fondazione Toscana Life Sciences, which together with the University of Siena are two important partners for the sector in which VisMederi operates at an international level. VisMederi, a Healthy Company. VisMederi closed the year 2015 with sales that exceeded 3.3 million euro, with an increase of over 50% compared to revenues in the previous year. The Company is continuing its investment plan launched in the last three years, occupying a growing share in the market analysis of the effectiveness of vaccines and exploring emerging market segments. Excellent profit performance, with a ROE of over 42% and a ROI of 38.67%. The company shows good health and financial strength, with an EBITDA/Nfp around 6.7. VisMederi in Short. VisMederi is a Research and Skilled Services SME that has been able to effectively fit into a niche market in which high quality standards are required such as: the creation and validation of experimental protocols for the release of molecules for therapeutic purposes and vaccines under development. Founded in 2009 from the experience and knowledge acquired within the Molecular Epidemiology Laboratory at the University of Siena, today the company collaborates with major pharmaceutical companies for which it performs analytical testing of biological samples. The offer of services in clinical trials aimed at issuing services represents more than 90% of the Company’s business. Since 2013, a line of activities targeting quality control analysis for food, water and the environment has also been activated in VisMederi. VisMederi carries out all activities in accordance with the European certification system UNI EN ISO 9001: 2008 and is registered in the regional list of Tuscany of laboratories performing analyses in the field of self-control procedures in food industry. The company is headquartered in Siena, in the facilities of the Medicine Research Centre of Fondazione Toscana Life Sciences (TLS).